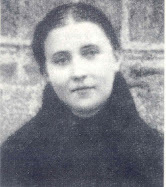 Although the subject of self imposed penances and mortifications is quite controversial in our modern age, especially self-inflicted corporal penances such as lashes, scourges, knotted belts, disciplines, cilice, hairshirts etc., nevertheless these practices played an significant role in the lives of countless Saints throughout history, and likewise in Gemma’s life and spirituality, and so Gemma’s extraordinary penances should be included on this website, so as to portray an honest and full picture of this remarkable Saint. The practice of mortification is a means of curing bad habits and implanting good ones. Penance is making reparation for ones sins (and even the sins of others), and these practices come in two forms, ordinary and extraordinary. We are all called to practice ordinary penances and mortifications, however what will be dealt with in this article are the extraordinary mortifications and penances that Gemma practiced. In presenting Gemma’s extraordinary mortifications and penances here, I am not advocating or condoning such practices, but it must be understood that many Saints have practiced such extraordinary penances, while others have not, nevertheless all Christians are called to make ordinary sacrifices and to do penance, but certainly not in the very heroic, extraordinary and severe forms that will be mentioned below in this article. By the age of 18 (but most probably even before) in a heroic effort to control and master her flesh and bodily desires, it was discovered that Gemma took up the ancient spiritual practice of external penances and self-imposed external mortifications. One of these penances consisted of a rope that was full of knots, which she tied around her waist like a belt, beneath her clothing. Her confessor since childhood, Monsignor Giovanni Volpi, discovered this fact while questioning Gemma during confession. 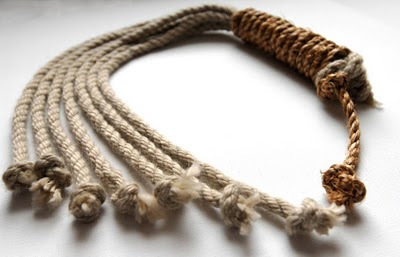 Not approving of such severe forms of penance, he immediately had her take the knotted rope-belt off, and requested that she not wear it anymore. Concerning this knotted rope-belt Brother Famiano, who knew Gemma well wrote: "If she had been allowed to continue she would have shortened her life through mortification. Once she let me see a knotted cord which I understood she had worn around her waist. Her confessor had ordered her to take it off because the knots had eaten their way into her flesh." "I heard my sister say that she (Gemma) had a scourge, and that she used to beat herself with it. I can truly say that she fasted always, and it really appeared to me that she could not live in that way without a miracle." “On one occasion she wanted me to exchange a scourge which was of iron for hers which was of cord, which as I noticed was covered with blood-stains." 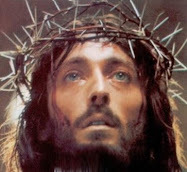 Whoever wishes to follow Jesus and be perfect must deny self, that is, to renounce all things and take up the Cross. Because without the Cross it is impossible to become like Jesus Christ, who is God Crucified and Whom endured the Cross unto His bodily death. “Pickup your cross and follow Me” our Lord has said. In doing so, man who is assailed by temptation and sin must endeavor to subjugate his wicked appetites of heart and senses. 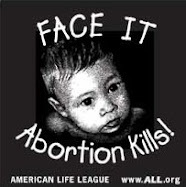 This “violence to self” is done through sacrifice, penance and mortification. Hence the Divine Master Himself has said: "The Kingdom of Heaven," that is the sanctification of the soul, "suffers violence and it is the violent who carry it away”. These words became the rule of Gemma's spiritual life. She realized the force of the above doctrine. It moved her to the heroic practice of all virtues, by the constant thought of Jesus Crucified, and hence her determination was to overcome every obstacle to her complete likeness to Him. 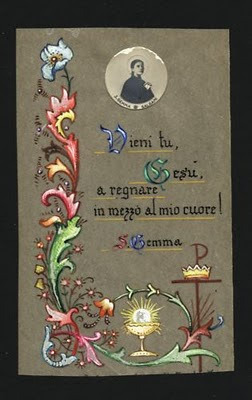 While it is not for most of us to imitate the great Saints such as Gemma in their extraordinary heroic penances and mortifications, nevertheless we who are often so indulgent to the passions and desires of our flesh ought to at least be inspired by her holy example, that we might endeavor to practice more ordinary penances and mortifications, in an effort to master ourselves, make reparation for our sins and thereby draw closer to God. “…the more violent her impulses, so much the more earnestly did she apply herself to curb them and bring them under control. "I will not give them peace," were her words, "until I find them dead within me." This contest was in her mind, and she was most watchful lest anyone might notice it; nevertheless, those who lived with her knew quite well that she had to strive without ceasing in combating her impulses. In order to succeed better she began very early to crucify her flesh by means of severe austerities. 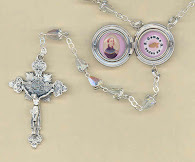 How many times had she not asked her confessor to allow her to discipline herself, to wear a hair shirt, chains and other instruments of penance! And she knew so well how to insinuate her wishes, that she often succeeded in obtaining his leave, which she looked on as a special favor. More frequently, however, it happened that her instruments of penance were taken from her; and she made an offering to Our Lord of at least her will to use them. I was the last one who confiscated them. They consisted of a band armed with sixty very sharp iron points, a discipline likewise of iron and having five pointed strikers, and a long knotted cord, with points and nails in the knots, to be used as a girdle. She did not on this account desist from her austerities, but in a hundred other ways sought means of compensating her losses. "This nature of mine," she used to say, "inside and out is always seeking its satisfactions, and always on the lookout for a respite. Give me leave to do all I can to overcome self. The flesh would like to command, and instead I wish to make it serve me as it ought, now and forever." 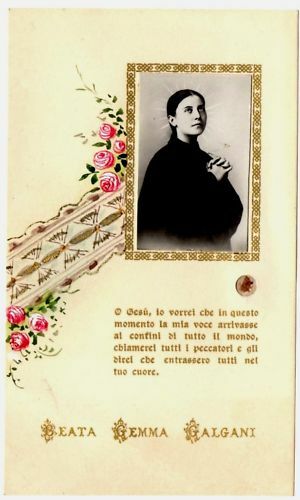 These last words refer particularly to the complete abstinence from every food which she practiced from Pentecost to June, 1902, during which period she lived entirely on Sacramental Communion. "No one was ever able to ascertain what meat or drink pleased her most, and in order to induce her to partake of what was on the family table it was necessary to press her, otherwise she would deprive herself of what was absolutely necessary. To hide her mortification she used a thousand artifices, feigning to take food while her hands moved but nothing entered her mouth. She went so far as to carry into effect the thought of making a small hole in her spoon, so that the broth might leak through before she brought it to her lips. We have seen that she found pretexts to rise frequently from table, now for one thing, now for another. When in the kitchen helping the servant, she would never taste any of the treats being prepared, nor would she ever partake of sweets or fruits that were offered her outside of mealtime. And in order not to be lacking in courtesy by her refusal, she managed to get away gracefully and charitably. And even when she did sleep, her will was still united with Jesus— for she once wrote: “I sleep, but Jesus my heart does not sleep. It watches with Thee at all hours." I want to be like St. Gemma. I got a girdle, size small (I'm big), and I cut off the top of the girdle and threw away the bottom part of it. So, it's like a big, elastic belt. I put it on and dang, it was unbearable! I'm a big girl and size small it too small. But, I wanted to wear a belt like St. Gemma. I had to take it off because I just couldn't take it. I was disappointed in myself. Also, since I'm big, I really need to lose weight. I tried not to eat so much because of St. Gemma, but, I'm always hungry! I don't wanna be a glutton, but, big girls are always eating. Can you ask your friends in church to please say a little prayer for me to stop being a glutton. Don't be disappointed in yourself. everyone is different. Pray to God and He will find a way to make you Holy like His Son. He will use your natural abilities and talents...and decide which is His way for you. You are unique and a future saint if you want to be. The way he did for St. Gemma. I asked St. Gemma to pray with me and give me tips on how to offer fasting as a small sacrifice. I was washing dishes just now....and i kept saying, "oh, i'm hungry! i'm hungry!" every minute. then i knew she told me...if you keep saying you're hungry, you can't offer that to God. Say..."i'm satisfied. I have everything i need to be satisfied." so she helped me. God will improve our abilities in time and prayer. dont expect to be able to do certain things right away. it's like exercise. today you can run twenty minute. in time maybe twenty miles! Hope, prayers and faith is always good. wanting to be good and holy and Christ Like is always a wonderful thing to strive for. i am not telling you not to....but understand that it can take time. If it is God's will that you share in that....it will happen. but you must be prepared to suffer. so many things can come with wounding yourself. and you need to allow yourself to Hear Gods voice and let Him tell you what sacrifices and mortifications to offer. and if that's what He wants from you at all. Let christ be the measurement. St. Gemma is a good example....but always make God the measurement of your life. big or small you are beautiful to God. He created you and you are beautiful. Best response in regards to the way of taking up the cross everyday God told me the same thing it's gradual like Saint Paul says about spiritual milk versus solid food when your not ready for it. Thank you for this great encouragement may God bless you.God had me start with 2 times a week of penance this word I never heard of before as I was a non denominational Christian until I heard the voice of God say Catholic is the way he truly desires his worship then asked to show me and he did with words I never heard of before like penance, absolution but he's the greatest teacher. I pray that you all let him teach you and show you by making you into the image of God through his mother who first introduced us to Jesus Christ so pray that she pray for you in your personal walk and then his will be done in all penances, teachings but first give up your will and he will show you his for you.